Hope International University star forward Andrina Rendon will have her #12 jersey displayed in the Women"s Basketball Hall of Fame"s "Ring of Honor" in recognition of her outstanding play in the 2013-2014 season. The Senior NAIA All-American is the first Royal in HIU women"s basketball history to receive this honor. Rendon completed her career at HIU with the highest career averages (20.5 points and 10.1 rebounds) since the Royals joined the GSAC in 1999-2000. In her final season, she produced 20 double-doubles, nabbed double All-American honors from the NAIA and NCCAA, and was named NCCAA West Region Player of the Year. "Andrina is one of those special players that comes along once in a great while," Coach Bill Crammer said. "She was a team captain and leader of the premier Women's Basketball team ever to come out of Hope International University. I thank God for Andrina and for His timing in placing her on our basketball team these past two seasons. She has been a joy to coach and a marvelous example of the type of player we look for as a team leader." The Women"s Basketball Hall of Fame opened in 1999 in Knoxville, TN. 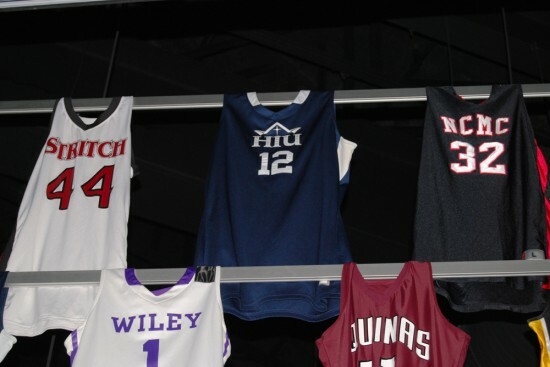 It is the only facility of its kind and every year recognizes over 100 exceptional high school and college players by hanging their jerseys in the popular Ring of Honor display. "Not only does the Ring of Honor provide a colorful backdrop to the Hall of Fame"s many archives, but it is also our way of recognizing some young basketball players for their achievements in the sport," Josh Sullivan, Director of Basketball Operations and Technology, said. "In doing so, we are fulfilling our mission to honor the past, celebrate the present and promote the future of women"s basketball."